Produktinformationen "NH-BSRS - NMDG-HEPES Brain Slice Recovery Solution (1000 ml)"
NMDG-HEPES Brain Slice Recovery Solution (1000 ml) (NH-BSRS) is used for recovery of acute brain slices from rats and mice after the cutting procedure. 1. Oxygenate 500 ml Base A for 10 min. 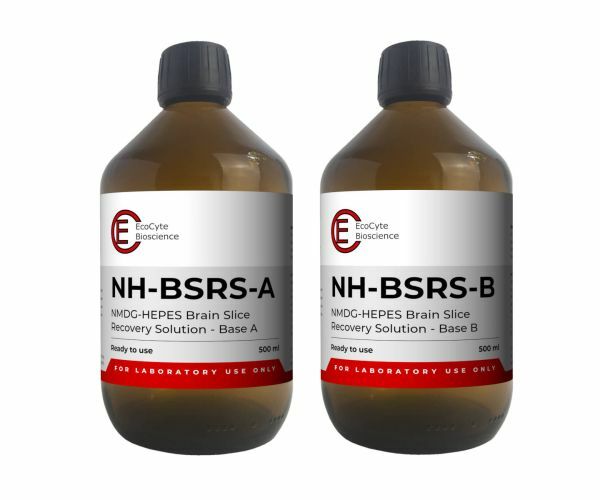 Weiterführende Links zu "NH-BSRS - NMDG-HEPES Brain Slice Recovery Solution (1000 ml)"
Kundenbewertungen für "NH-BSRS - NMDG-HEPES Brain Slice Recovery Solution (1000 ml)"